วันพฤหัสบดีที่ 07 พฤษภาคม 2015 เวลา 03:58 น. Having a power line falling on your car can be one of the scariest things you could face while driving. 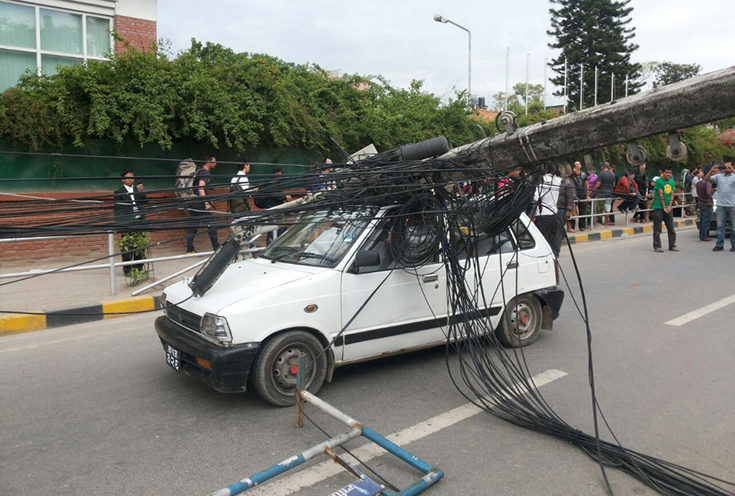 If an active power line falls onto your car, it charges the car full of electricity, making you and your passengers immediately at risk of being electrocuted to death if you make a wrong move. 1 Stay inside your car and call 9-1-1 or the appropriate emergency number where you live. This is the safest way to react. Give the emergency dispatcher your exact location. Do not touch the windows, doors, or anything metal such as the radio. Wait for trained professionals to rescue you. Warn anyone who starts walking towards the car to stay far away. • The rubber tires ground the car, preventing the electricity from reaching you. If you step on the ground with another part of your body touching the car, your body acts as a bridge and electrical current will flow right through you. 2 If you absolutely must exit the car in an emergency situation (such as a fire), follow the next steps to safely leave the car. 3 Gently open the door all the way, being careful not to touch anything metal. 4 Position your body so that you're facing the ground. 5 Jump off the car and land on both feet at the same time with your arms folded across your chest. Do not touch any part of the car with any part of your body as you jump. 6 Shuffle your feet across the ground until you reach a safe distance away from the car. A safe distance is considered at least 10 feet (3 meters). Keep your feet 6 inches (15 cm) together. • The reason you will benefit from shuffling instead of walking is to avoid "step potential." When we walk, one foot is raised up in the air while the other stays on the ground. Electrical current can arc when your lift your foot and that creates the bridge needed for the current to pass through your body. 7 Stay away from the car and wait for help to arrive. • Throw a rubber car mat about 3 feet (about 1 meter) away from the car. When you jump, aim to land on the mat. The rubber material will act as an insulator as well and will keep you safe. • Use your horn to alert other people. • Your car could be pushed in the rear bumper by another car to attempt to remove the power lines and get your car away. Convince a passer-by to do it, or if you happen to see an abandoned car when you're out, do it yourself. Don't commit a crime like carjacking or breaking into a car, though! • Earthquakes can weaken poles and cause power lines to fall on your car. 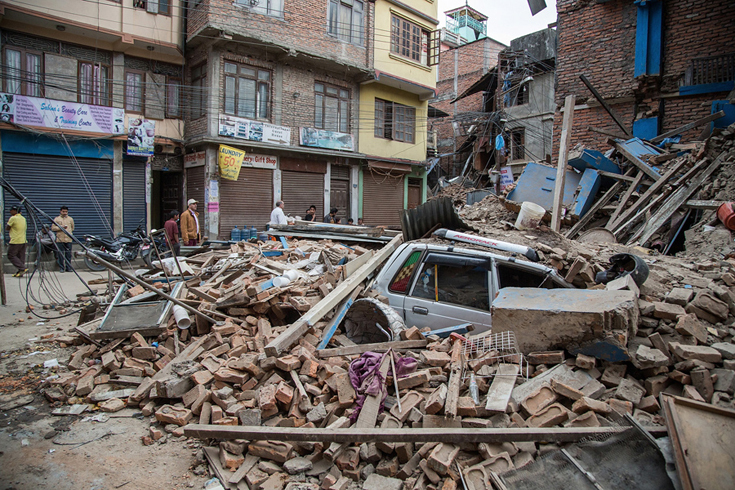 If caught in an earthquake, avoid parking your car near power lines. Also, take caution when driving in the aftermath. • Having power lines on your car is an extremely dangerous life-or-death situation. Therefore, this must be emphasized: Do not make simultaneous contact with the car and ground as you exit the vehicle. are able to find sometime to de-stress ourselves with some quality hymns like Agnus Dei by Amy Grant. knee can be really tough to deal with. talented cartoonist creating detailed cartoon drawings and custom cartoons for businesses and families. One rule coming from all graphic identity programs is that institutions require their logos standardized; if the institution doesn't standardize logo marks, the population could have a hard time recognizing the logos and just what it represents. Internet has generated a time of chance of the independent producer. Dolby True - HD and DTS-HD Audio, that happen to be used in combination with Blu-ray players. You should not just join one site just a few instead, that way you've got a selection of members to decide on from. they have to want, they realize the need for marriage. the c's you're looking to lose is termed the underdog. and the growth and development of net accessibility itself. like to share your existing current email address, your phone numbers, your address and in many cases your surname. selection for everyone that likes excitement. Queensland has shown an enormous course of spending in last number of years.